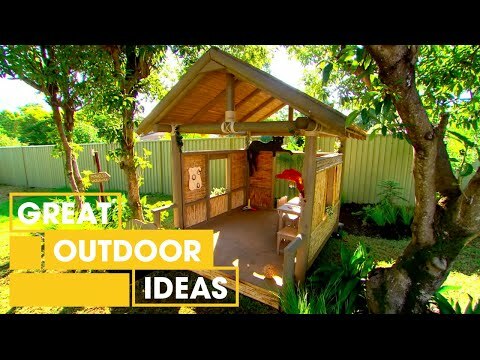 Watch as Adam teaches you how to make the perfect Jungle-Book inspired Kids Cubby House. It’s the perfect summer gift! Let us know what you think of our Jungle Book Inspired Cubby House! Owning a Serval (a wild cat native to Africa.) and having this hut would let the imagination run wild for kids. And yes, You Can Own a serval in the USA. Some states like the Carolinas and Alabama Allows You To Own One Without A Permit. Make sure you check the laws about exotic pet ownership in your state (if you live in the USA.) And servals, despite still being classified as “wild” are actually pretty cool pets. They normally hunt small animals like mice, like water, and many other cool features. And no, as of now there has been no reported cases of a pet serval killing a human. (At least, I don’t think so.) But If You can’t Own a serval, Get a serval and domesticate cat hybrid called the “Savannah cat”. I am posting this comment because both Savannah cats and servals look Like leopards. As long as you have the right conditions, you are ok. The kids never say thank you.